Selecting a place to eat in the Highland Lakes is like reading a “choose-your-own-adventure” book where all the stories end with full stomachs. You can select the seafood restaurant or the classic fast-food burger. You can choose Asian, Mexican, or a Texas take on Italian. If you can’t decide? Well, we even have a suggestion for a menu that has it all. Oh, and along with your appetite, you can bring Fido, too. But knowing which fork in the road to travel is difficult for us all. 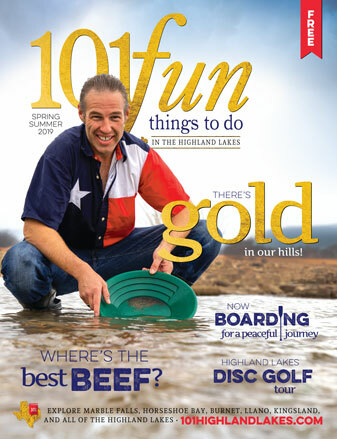 To help, we’ve selected 10 Highland Lakes restaurants that have all been winners in our annual Locals Love Us awards. Thousands of locals can’t be wrong. So choose your story’s ending with confidence, and we won’t even ask for a book report. Of course, we were going to suggest you go to the iconic Blue Bonnet Cafe for breakfast. People have known that since 1929. 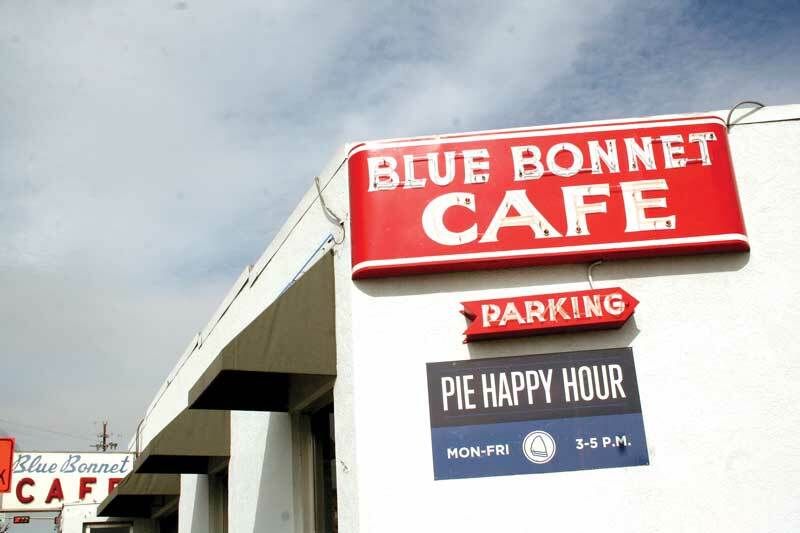 However, did you know Blue Bonnet Cafe has some of the most mouth-watering pies in the state? Oh, that’s right. They’re famous for that, too. How about this? Did you know you can eat pie for breakfast-dessert? That’s right. Don’t load up on a full plate of pancakes and bacon. 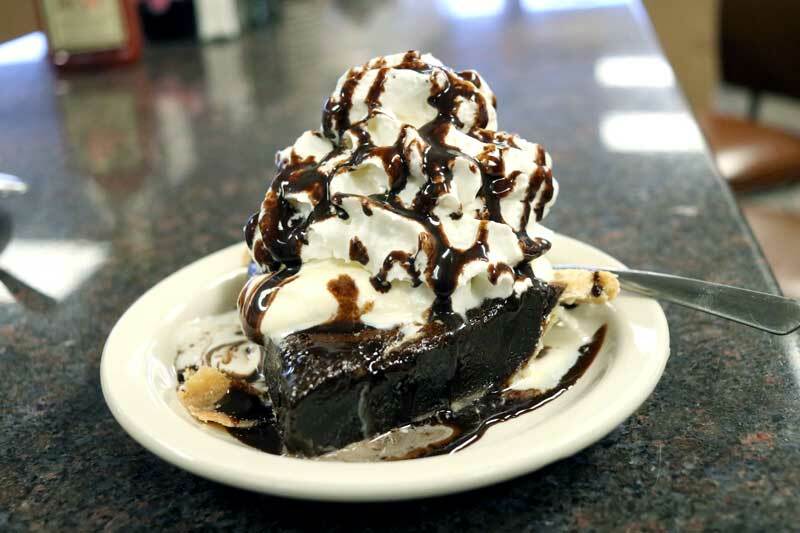 Save room for pie. When you decide to go to the Blue Bonnet Cafe for breakfast, get there early. Lines get long as 11 a.m. approaches. If the line intimidates you, though, don’t get discouraged. The wait from just outside the door to sitting at a table usually takes about 10 minutes. In that time, you’ll make friends with those next to you. Don’t forget: You can eat breakfast at the Blue Bonnet any time of day. Hours: 6 a.m.-8 p.m. Monday-Thursday; 6 a.m.-9 p.m. Friday and Saturday; and 6 a.m.-1:45 p.m. Sunday. Blue Bonnet Cafe is located at 211 U.S. 281 in Marble Falls. Go to bluebonnetcafe.net or call (830) 693-2344. You know how people picked restaurants before the internet? One way was to drive the main roads and see how many cars were in the parking lot. 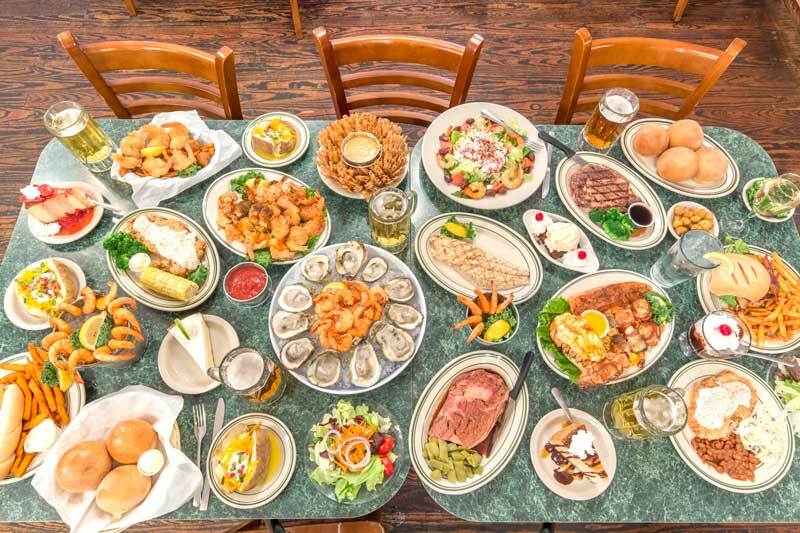 Sure, we’re telling you to get your seafood fix at Doc’s Fish Camp & Grill, as are the hundreds of people who leave online reviews about the restaurant. But look at the parking lot outside Doc’s the next time you drive by, and you’ll notice the tell-tale sign of a great restaurant. Inside, you’ll find seafood standards of shrimp, catfish, scallops, lobster, and oysters. Ask about the day’s fresh catch for something you know is going to be local. Doc’s also prides itself on its mixed drinks and bar selection. Stop by for happy hour from 2-6 p.m. If you go Thursday-Saturday, you’ll hear live music from local artists. Visit the website to see who’s playing before you go. Hours: 11 a.m.-9 p.m. Sunday-Thursday and 11 a.m.-10 p.m. Friday and Saturday. Doc’s Fish Camp & Grill is located at 900 RR 1431 in Marble Falls. Go to docsfishcamp.com or call (830) 693-2245. Drive until you get to the end of the road. Ranch Road 2341 ends at Canyon of the Eagles Resort on the northeast side of Lake Buchanan. The resort offers an escape to nature, miles of hiking trails, an observatory, camping, and lake fun — plenty to make anyone hungry. That’s where the resort’s Overlook Restaurant comes in. With a menu for breakfast, lunch, dinner, and even brunch, you’ll find something for everyone while enjoying unmatched views of the lake. As a Locals Love Us winner for best pizza, steak, Italian fare, and seafood (among others), you can see why Overlook Restaurant is worth the drive. Hours: 8 a.m.-8 p.m. Monday-Thursday; 8 a.m.-9 p.m. Friday; 7:30 a.m.-9 p.m. Saturday; and 7:30 a.m.-8 p.m. Sunday. People have been eating at China Kitchen for more than 30 years, so the restaurant recently celebrated by offering 1987 prices for a full month. First, no restaurant stays open that long without consistently serving great food. Second, the throwback pricing shows a dedication to serving a menu with reasonable prices. Daily specials are offered, and you don’t want to overlook the Vietnamese dishes, which are underrated for a place known for its Chinese food. The service is spectacular whether you’re eating by yourself or in a group of 10. If you want to avoid sitting down, China Kitchen also won a Locals Love Us award for best take-out in Marble Falls. Hours: 11 a.m.-9 p.m. Monday-Saturday and 11 a.m.-8 p.m. Sunday. 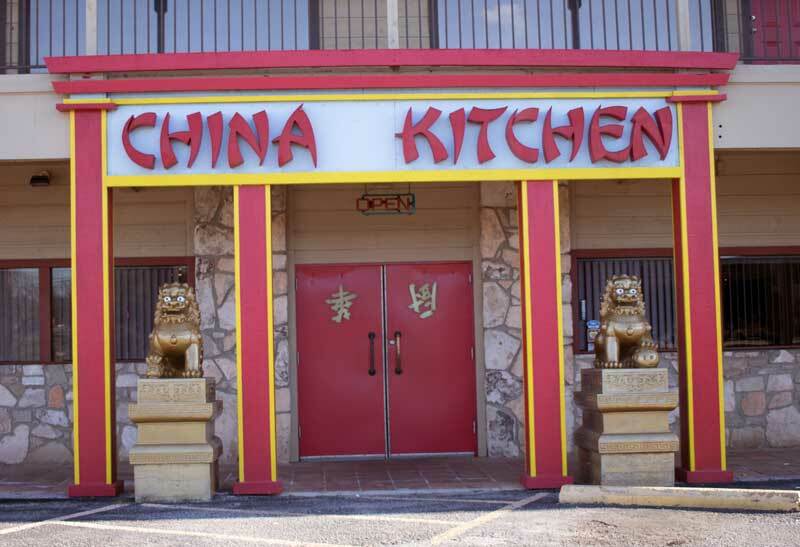 China Kitchen is located at 705 First St. in Marble Falls. Go to chinakitchentogo.com or call (830) 693-2575. We list the awards given to Grand Central Cafe below, but we’ll save you the trouble of counting. It’s 12. Twelve Locals Love Us awards this year cover breakfast, lunch, dinner, and drinks. Opened in 2012, owners Rick Gregory and Drew Gerencer serve incredible, homemade food all day long. You could eat every meal there for a week and still not try all the dishes. You would also need to buy new clothes. Grand Central Cafe is highly recommended no matter where you are in the Highland Lakes, and what food you’re craving. Call during evenings just to make sure you can be seated. An addition to the restaurant opened in March to provide inside seating, a patio for outside dining, and a bar. An added attraction is the fact the restaurant was converted from the house used in the 1973 horror classic “The Texas Chainsaw Massacre.” It was purchased in 1998 and moved from its original Round Rock location. Grand Central Cafe acknowledges the house’s role in pop culture, but the fine dining atmosphere is a far cry from the building’s past. Hours: 8 a.m.-2 p.m. and 5-9 p.m. Wednesday-Saturday and 8 a.m.-2 p.m. Sunday. Grand Central Cafe is located at 1010 King Court off RR 1431 in Kingsland. Go to kingslandgrandcentral.com or call (325) 388-6022. If you visit from 3-7 p.m. Monday-Friday, and ALL DAY Sunday, you will probably call the latter. 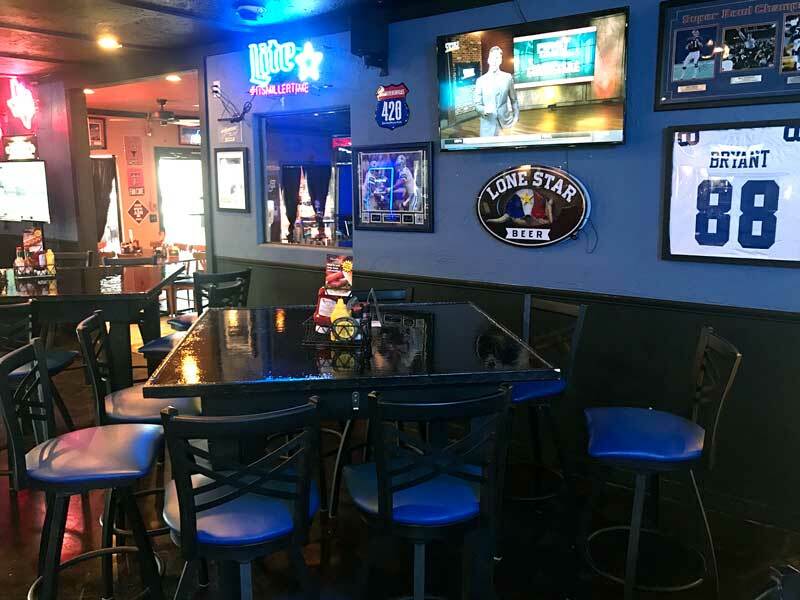 Hiccup’s Sports Bar & Grill in Cottonwood Shores is the best sports bar in the Highland Lakes. If you haven’t heard of Hiccup’s before, it is new to the area after renovating a former Mexican food restaurant that moved to a new location. There are 16 TVs, a pool table, and Golden Tee. To go with their drinks, Hiccup’s has appetizers, salads, burgers, sandwiches, wings, and more of your traditional bar food items. Sit at the bar — it’s long enough for you not to feel crowded — or grab a table and watch TV. If you aren’t there during happy hour, Hiccup’s is open later than many bars in the area. You can order food until 1 am. and enjoy drinks until 2 a.m. Hours: Kitchen is open 11 a.m.-1 a.m. and bar serves from 11 a.m.-2 a.m. every day. Hiccup’s Sports Bar & Grill is located at 4119 RR 2147 West in Cottonwood Shores. Go to hiccupsonline.com or call (830) 220-9116. Before we even get to the family-friendly part, let’s address one of the most important questions you need to ask when making plans for where to eat. Do you want salsa and chips? Julie’s Cocina has the best chips and salsa around, and it’s at your table the moment you sit down. For that alone, it’s your go-to place in the Highland Lakes for Mexican food. But it’s also an easy choice when you’ve got a family of any size and you just want to go somewhere to make everyone happy without any stress. Known for its enchiladas, many people like its underrated burgers, too. It’s open in the mornings and serves megas, omelets, pancakes, breakfast tacos, and more. 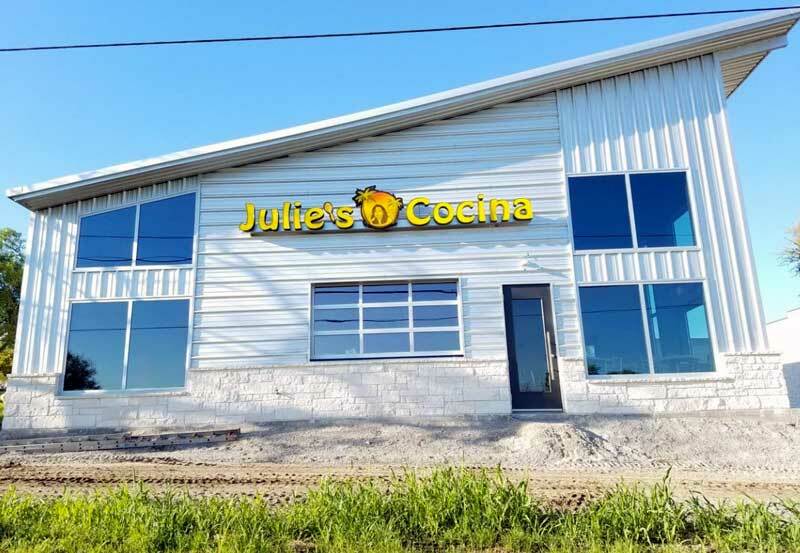 If you’ve been before, be aware that Julie’s Cocina has moved to a new location in a building just completed on the west side of Cottonwood Shores. Hours: 7 a.m.-9 p.m. Tuesday-Saturday (10 p.m. in summer) and 8 a.m.-8 p.m. Sunday. For you humans reading, Rae’s Bar & Grill (the locals call it R-Bar) won a Locals Love Us award for almost every category under the sun. Speaking of sun, you can sit on the pet-friendly patio (covered or open, your choice) overlooking historic downtown Marble Falls. Servers will bring your dog a bowl of water, and if you behave, they might even have a treat for Fido. As for the restaurant, Rae’s Bar & Grill has won awards for its fajitas and burgers and smokes all its meats in-house. 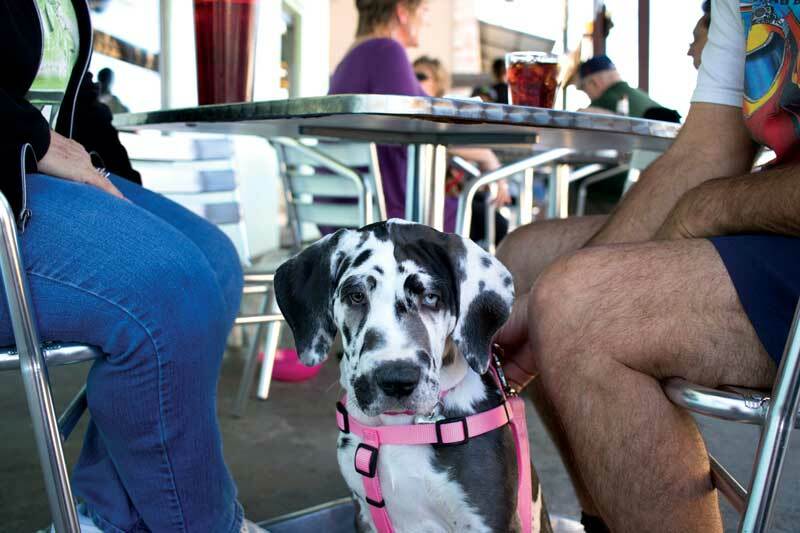 Finding a place to eat that is welcoming to dogs is difficult enough, but finding one that’s also recognized as a favorite place to eat and have a drink? Well, we would say it’s impossible if Rae’s Bar & Grill wasn’t around. Hours: 11 a.m.-8 p.m. Monday-Wednesday (bar open until 10 p.m.) and 11 a.m.-10 p.m. Thursday-Saturday (bar open until midnight). Rae’s Bar & Grill is located at 904 Third St. in Marble Falls. Go to rbargrill.com or call (830) 693-2622. 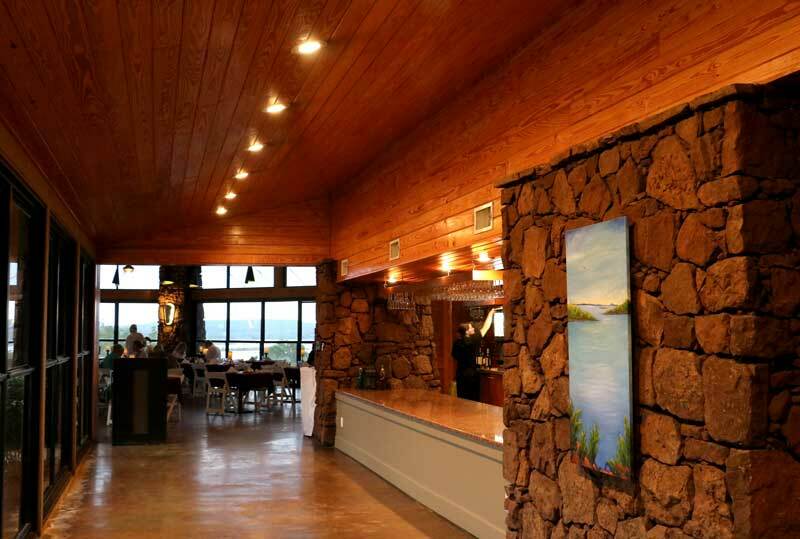 With one of the best views of any restaurant in the Highland Lakes, Russo’s also gives you a hand-cut steak people say is the best they’ve ever had. “I get that on a daily basis,” owner John Russo said. 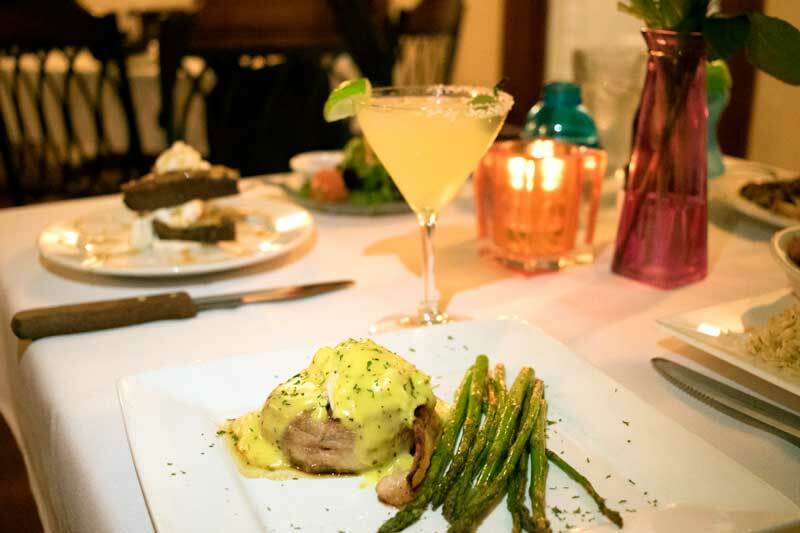 So, sure, you can have an unforgettable meal with your significant other at Russo’s; many do. However, you’d be missing out on a great experience that could be enjoyed anytime. 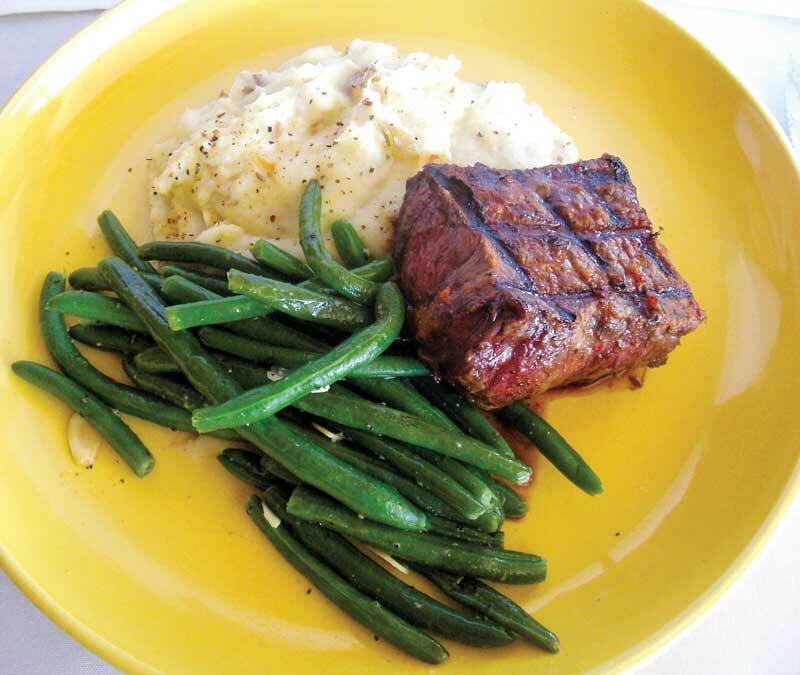 Go for the steak or have a burger made from choice and prime cuts of sirloin and tenderloin. Locals know to take advantage of lunch specials and happy hour (5-6:30 p.m. Wednesday-Saturday). Russo’s menu is a Texas take on Italian cuisine. The atmosphere is like that, too. There are different sections of seating, and no dress code is required. John Russo is approachable, and the restaurant reflects that. Hours: 11 a.m.-2 p.m. and 5-9 p.m. Wednesday and Thursday; 11 a.m.-2 p.m. and 5-10 p.m. Friday and Saturday; and 11 a.m.-2 p.m. Sunday. Russo’s is located at 602 Steve Hawkins Parkway in Marble Falls (south of the U.S. 281 bridge). Go to texitally.com or call (830) 693-7091. Texans are known to be proud of their home state. 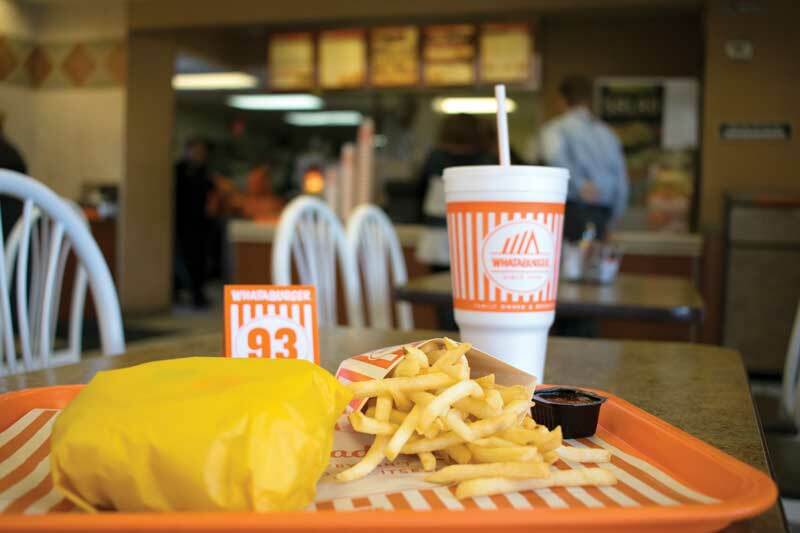 So when it comes to fast food, there’s only one place that illicits as much state pride as the local Whataburger. When you serve a honey butter chicken biscuit late at night (or in the morning), or that perfect A.1. Thick & Hearty Burger, you’re bound to draw a following. While we know you want to find the local places in any trip to a new town, let’s acknowledge there will usually be a couple of fast food visits thrown into the mix. When you need to hit the drive-through quickly and get back on the road, you’ll insult Texans and Highland Lakers by shunning Whataburger. Also, here’s one more tip: Flip to their ad in this magazine for a coupon. Trust us. You’ll want it. Whataburger is located at 1204 U.S. 281 North in Marble Falls and 402 Texas 29 East in Burnet. Go to whataburger.com or call (830) 693-5753 in Marble Falls and (512) 756-1507 in Burnet.